It’s the holiday season. Let’s celebrate! Our Annual Holiday Party is almost here. 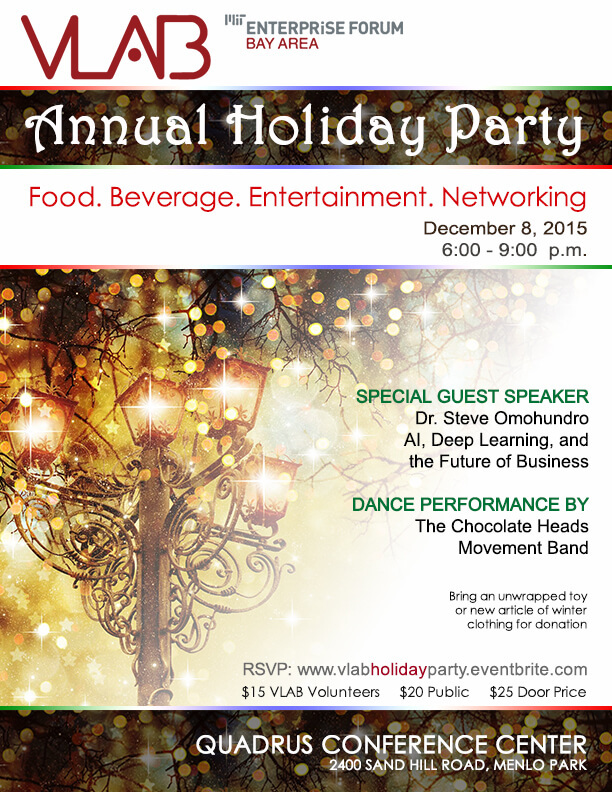 Join us on December 8, 2015 from 6:00 to 9:00 p.m. for an elegant, entertaining, and informative event at Quadrus Conference Center. VLAB produces events that bringing together entrepreneurs, investors, and technologists to learn and share insights related to emerging, disruptive technologies. We strive to provide the forums that provide our community with information and actionable insights that they can apply to their own personal endeavors.